US equity indexes closed broadly weak, sp -9pts at 2584 (intra low 2566). The two leaders - Trans/R2K, settled lower by -1.2% and -0.5% respectively. 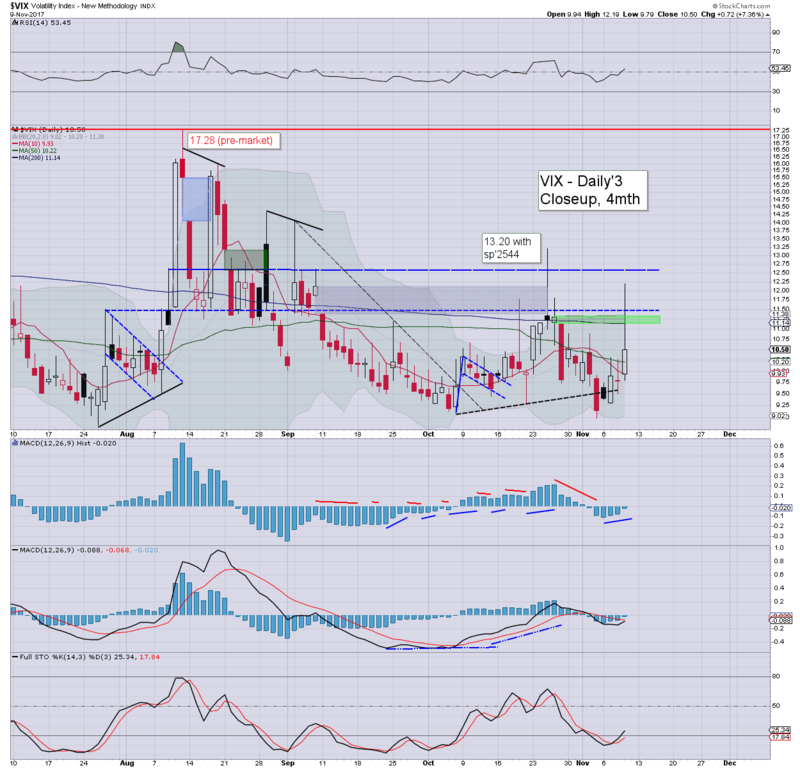 VIX settled +7.4% at 10.50. 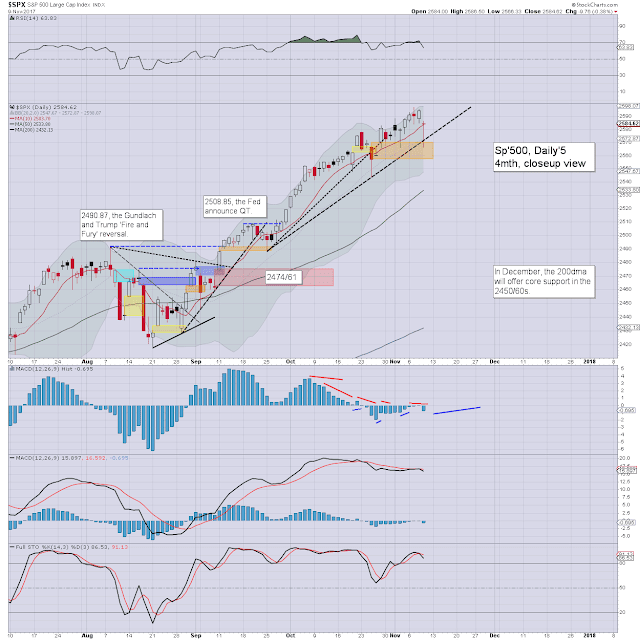 Near term outlook offers some weak chop, but nothing sustained <2560. Broadly, nothing has changed, as the 2600s are due into Thanksgiving. 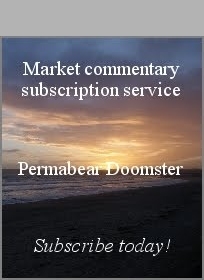 US equities opened moderately lower, saw a bounce in the 10am hour, but with some sporadic 'spooky news' about the Senate possibly delaying a corp' tax reduction until 2019, the market resumed back lower. There was a distinct latter day recovery, with most indexes only settling moderately lower. Market volatility picked up, but even the intra day high of 12.19 is still to be seen as broadly subdued. Despite today, the key 20 threshold still looks out of range for the remainder of the year. 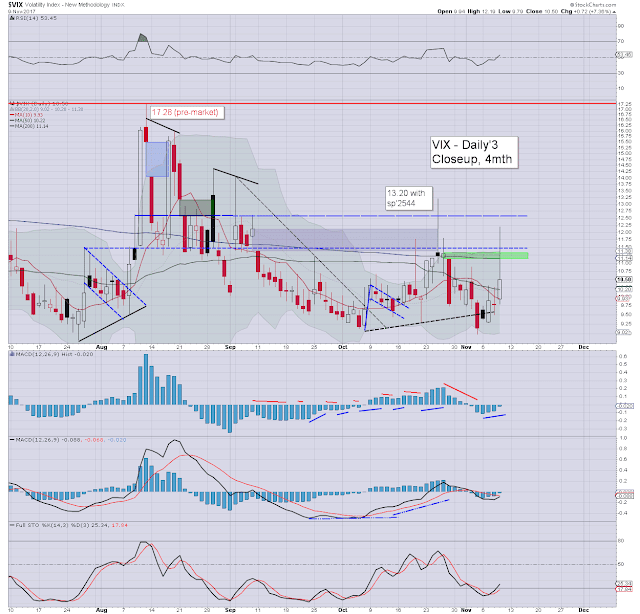 Its notable that whilst front month VIX was sig' higher, further out months were only a touch higher. The 'big money' does not expect significantly higher volatility before year end. 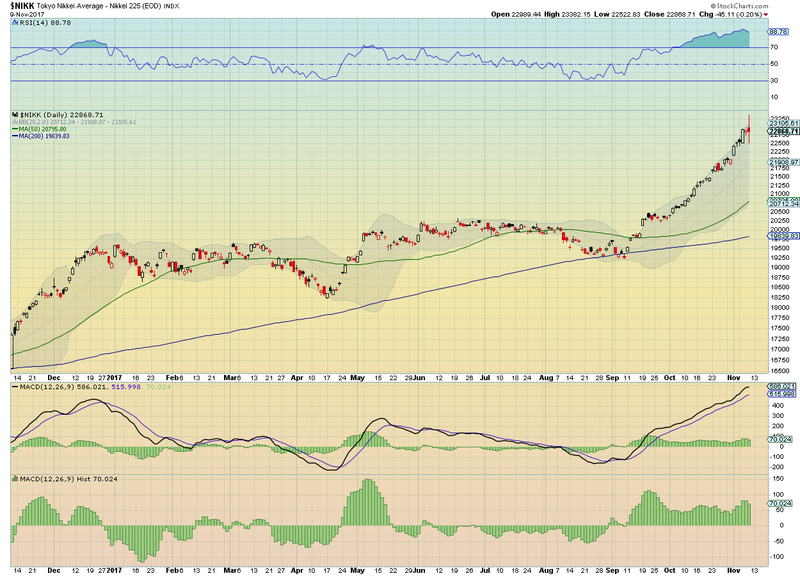 I thought the Japanese market merited highlighting, after the Thursday session saw a wild swing from 23382 to 22522. 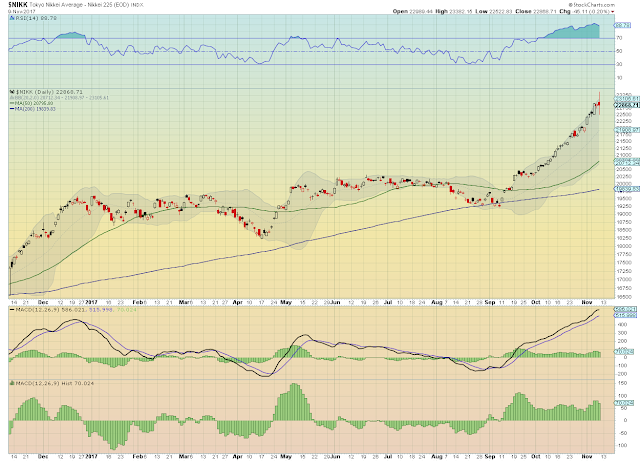 The daily candle is one of rather severe 'indecision'. Further, on any basis, the Nikkei is short term cyclically overbought, although that could have been argued since mid September. The Oct' settlement >21k is what matters, and it offers next soft target of 25/26k in 2018.